I love DIY ideas and I have been pretty excited about sharing an ombre-inspired DIY tutorial after seeing several cost-effective projects on Pinterest. Some of these projects are really amazing, such as a picnic blanket and eye-catching flower centerpiece. The dark-to-light finish offers a very appealing contrast of shades because of the flowers. 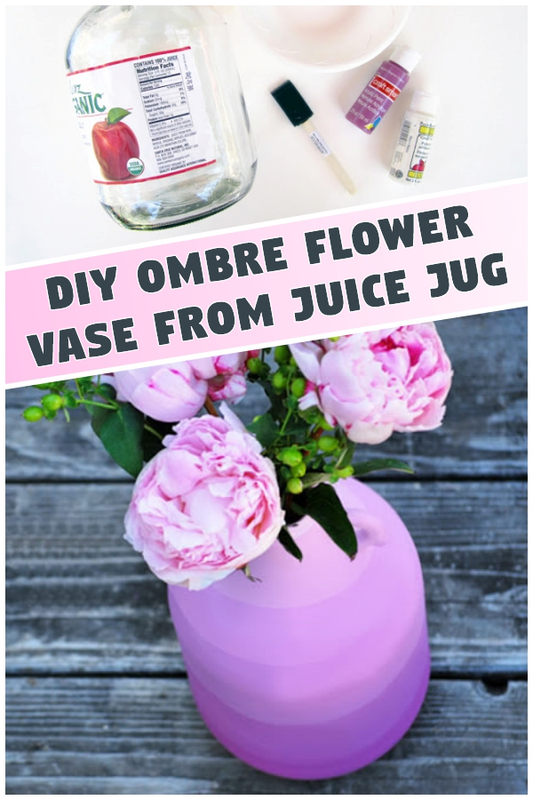 I picked an oversized juice jug to build my Ombre flower vase. The large round bottom of the jug and tiny handle make it an appealing choice. It is up to you that what you choose because you can pick soda cans, or wine bottles, or milk cartons too. Just search for used products like this in your house and get started. Follow every direction carefully while working on this project because that’s how you are going to craft a charming flower vase at home. Let’s start with the juice jug or bottle and remove its label. Suppose if any residue is still there, use hot water and scrubber to remove it completely. 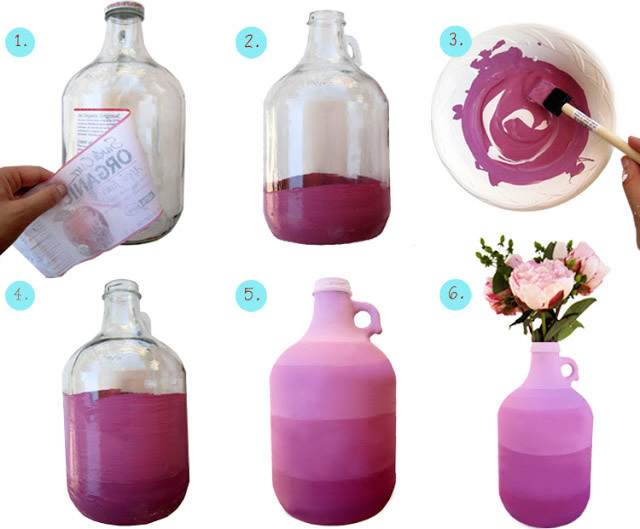 Pour enough paint in a container to paint the whole jug or bottle. To start painting the bottle, first, start from the bottom and apply a coat of paint towards the bottom. Let it dry and then again apply the paint on the upper side of the bottle. The bottle should be completely covered, so keep applying the paint until the bottle is visible. Now pour some white paint into the container and mix it perfectly. You should mix a small quantity of white paint every time whenever you need a more gradual transition of different shades. 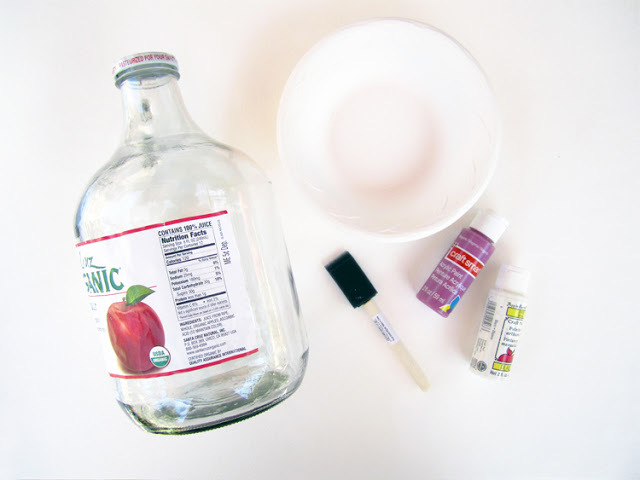 Start applying more paint from the bottom and slowly move towards the upper side of the bottle. Keep mixing white paint in the container to take a different shade every time you apply a new coat. You have to cover the bottle completely in order to make it look unique. Now let the paint dry. Once the paint is dried, apply a thin layer of Mod Podge or glaze to seal the paint perfectly.